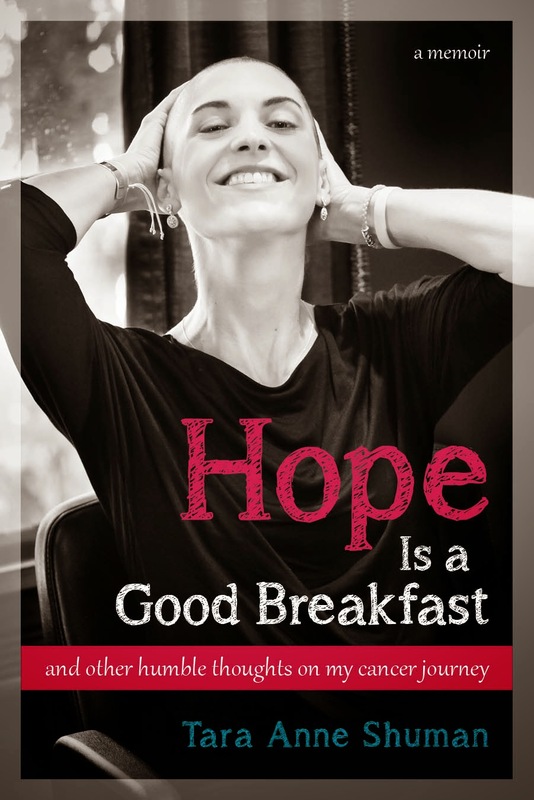 Hope Is a Good Breakfast - The Blog: "DNF"
In my head, and on paper, I had three goals for the 2014 Jimmy Fund Walk: (1) gather 100 walkers who otherwise would not have done the walk; (2) raise $60,000 for the Jimmy Fund; and (3) walk the Boston Marathon Route -- 26.2 miles -- with the friends and family who had joined Team Tara. I had kept Teddy abreast of my progress every step of the way (Annabel is still too young, oblivious, and totally focused on her obsession with Batman to care). Teddy and I were both thrilled when, just last week, our team reached the 100 walker mark and passed $60,000 in funds raised. I was so proud of our dedicated and scrappy team, and I loved all that my son was learning about setting goals and having fun while working to achieve them. On Saturday night, however, in his typical pre-bedtime, completely overtired state, he started to cry. He was worried that I would not be able to finish the walk. I have no idea what caused him to get so upset about it but I was able to crack some jokes with him (at Brian's expense) and he fell asleep easily after that. Yesterday, after having walked 25 miles, I lay on my back replaying that conversation in my head. I told him not to worry about me; that I was tough and that I'd walk those 26.2 miles no matter what. Well, chalk that up to the long list of lies I've told my children. Because yesterday, I was not able to cross that finish line. When my family arrived to pick me up at mile 25, Teddy was hysterical. (Annabel was faking a whine to copy her big brother but really she was smiling, happy to see me and Brian.) Teddy sat next to me on a stoop on Beacon Street, the Citgo sign up a hill to our right, and hugged me tight. "Are you okay?" he asked me at least 12 times. "I'm fine buddy!" By that point, I was. And so I explained to Teddy the truth -- that sometimes, when I get really tired, I faint, and that I had to stop walking because I almost fainted. I still don't know if I should have told him all that, but I did. He was still wildly unnerved and I felt terrible about that. I also felt embarrassed -- mostly by the scene we made on the stoop, and by having thought that I was physically able to do something that I proved unable to do. On the way home, I lied again. When I couldn't hold back the tears, I tried to turn my head so that he wouldn't see. But he did. I told him that I had drank so much water that my eyes were watering. Dear Lord, what the hell was I thinking? This poor kid is going to be so confused. I better clear that one up today...Yes, I will do that. To be honest, I don't know exactly why I cried so much on the ride home. I think it was partly out of disappointment and embarrassment that I hadn't finished, and partly out of guilt that I had inconvenienced people the way I had. I hadn't been able to connect with friends and family in the last leg of the walk and at the finish line and I was also bummed about that. On the first leg of the walk, a few of my dedicated teammates mentioned what it would feel like to reach the finish line. "I honestly haven't even thought about it," I told each of them. I really hadn't. But on the car ride out of Boston, I did think about it. I thought about how awesome it would have felt. I was sad to have missed it. When we got home, the kids went out to play with their friends. Brian and I showered, and just sat for a while with my mom, my Aunt Helen, and cousin, Kirsten. It had turned into a gloomy night and none of us had the energy to turn the lights on. So we sat in a mostly dark house quiet and down. We dwelled in that gloomy place for a bit, until somehow, we got talking about all the people that walked that day. I told them about all the people I walked with for the first 13 miles -- about how I had met each of them, about all the new things I had learned about them, about how truly good they all were. I told them about a teammate who had joined and walked despite that she has been battling a terribly scary condition that has kept her largely confined to her house. I told them about Brian's hockey players who walked 13.1 miles together, and about my neighbors and other friends who joined us at a point in the walk when we all really needed fresh energy. I told them about the kids who had joined our team -- kids who have already given back more to this world than most people ever will. I told them about how great it was to see my friend who walked with her sister, and about their mother who walked five whole miles despite being in the middle of treatment for advanced stage breast cancer. We talked about all those who pushed strollers along the bumpy sidewalks and about my brother (who hates the heat) who carried his new puppy the whole way, while trying to corral our children. We talked about my kids' teachers who walked with their daughters and helped with our kids, too, while others left to tend to me. We talked about my uncles, cousins, colleagues, former colleagues, hockey friends, high school friends, college friends, CrossFit buddies, former students, fellow cancer survivors, and other dear friends who all wore their lavender shirts and walked together to help end all cancer. We cried a bit, laughed a bit more, and after some left-over pizza and a huge bowl of my most favorite dessert in the world (chocolate trifle -- thank you, Amy!) I, for one, felt so much better. We put the kids to bed it good spirits. Teddy didn't even cry. One person who wasn't able to walk yesterday was my best friend, Brianne. She is at the end of her second pregnancy so she helped with all sorts of things behind the scenes and her amazing husband, Seamus, covered the 26.2 miles for their family without seeming to break a sweat. Brianne made a surprise visit last night and she, Brian, and I sat and chatted about the day, all unable to move without groaning. I know that Brian is disappointed that he didn't get to finish and I know he will do it next year. But Brianne and I agreed that in 2015, God willing, we will do the 13.1 mile route. I'm already excited for it. As I lay there yesterday realizing that I wouldn't be able to finish, I found such comfort in that message. Such real, sincere comfort. Because I know that over 100 people that I care so much about came together yesterday to fight -- with generosity and hard work -- for cancer patients. For me, that is what this was all about to begin with. The embarrassment and disappointment I felt yesterday fell away last night with a solid eight hours of sleep. What is now left is a heart so full of gratitude and appreciation that I tear up when I think about what we all achieved and how much fun it was to achieve it. Speaking of tears, tonight I plan to clarify with my innocent and misled six-year-old that I did cry on the way home yesterday and it wasn't because I drank a lot of water. I'll explain to him that sometimes we set goals that we don't achieve, but that often, there are awesome stories, inspiring teams, and terrifically strong individuals behind a "Did Not Finish." Most likely, he won't care much about my little life lesson, and he will just want me to play basketball or catch with him. But I think he'll store the clarification in a safe place, and that's the perfect ending for me. Thank you for being so damn brave. And like Becky said...sometimes sh1t happens. Next year, we'll look forward to seeing you at the finish line!